Natural products used in the traditional systems of medicine exhibit a various and promising resource in human health. However, these products are often characterized for their chemical composition as well as mechanisms of action. Considering the bacterial infections play an important role in human diseases, it is necessary to develop new antibacterial herbal products. The aim of this study was to isolation and structural identification of hesperidin from Citrus sinensis L. and to formulate hesperidin loaded to water-in-oil (w/o) microemulsion as an inovative formulation for bactericidal treatment. This present study indicates that hesperidin microemulsion has antibacterial activity against various types of bacteria according to MIC method. All strains were showed logaritmic reduction. These findings indicated that the microemulsion as a drug carrier, especially hesperidin formulation, may be used as an effective antibacterial therapy. Shakeri A., Amirhossein Sahebkar A., Behjat J., Melissa officinalis L. – A review of its traditional uses, phytochemistry and pharmacology, Journal of Ethnopharmacology, 2016, 188, 204-228. World Health Organization, WHO, Traditional Medicine Strategy Document 2003. Geneva, Switzerland. Newman D.J. and Cragg G.M. Natural products as sources of new drugs over the last 25 years, Journal of Natural Products, 2007, 70, 3, 461-477. Moteetee A. and Kose L.S., Medicinal plants used in Lesotho for treatment of reproductive and post reproductive problems, Journal of Ethnopharmacology, 2016, 194, 827-849. Omwenga E.O., Hensel A., Shitandi A., Goycoolea F.M. Ethnobotanical survey of traditionally used medicinal plants for infections of skin, gastrointestinal tract, urinary tract and the oral cavity in Borabu sub-county, Nyamira county, Kenya, Journal of Ethnopharmacology, 2015, 24, 508-514. Muhammad A.A., Amir H.K., Muhammad A., Izatullah I. Traditional uses of medicinal plants reported by the indigenous communities and local herbal practitioners of Bajaur Agency, Federally Administrated Tribal Areas, Pakistan, Journal of Ethnopharmacology, 2017, 198, 268-281. İnce İ., Kayalar H., Elgin G., Köksal Ç., Yavaşoğlu K.N.Ü. Antioxidant, Anti-inflammatory Activities and Acute Toxicity of the Polyherbal Formulation: Romix®, Pharmaceutical Biology, 2012, 50, 720-726. Mahmoudi S., Khali M., Benkhaled A., Benamirouche K., Baiti I. Phenolic and flavonoid contents, antioxidant and antimicrobial activities of leaf extracts from ten Algerian Ficus carica L. Varieties, Asian Pacific Journal of Tropical Biomedicine, 2016, 6, 239-245. Halfon B. 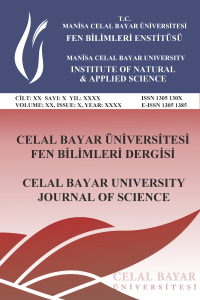 Natural Products, Boğaziçi University Printhouse Lecture notes, 2005, (ISBN: 975.518.251.9). Turkey. Robards, K. and Antolovich, M. Analytical Chemistry of Fruit Bioflavonoids A Review, Analyst, 1997, 122, 11R-34R.